While most couples fret about the financial strains of a coming child, mom-to-be Julie Kelly and her husband don’t really have to. 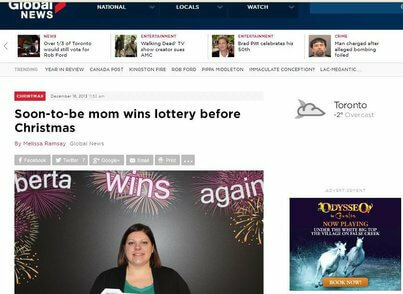 Julie just won an early Christmas present of $1.6 million on the December 7th Lotto 6/49 draw. That would take care of a lot of infant formula, diapers, and maybe even start a college fund.